The changing of the seasons is truly remarkable, and in Missouri you get the full-blown taste of all four of them! Well, it's Springtime once again! The grass is getting green, the flowers are blooming, and the trees are filled with buds. The Easter season reminds us of the love of God, expressed through Jesus Christ, who came to offer life, grace, and peace to all who would believe and receive. The flowers, trees, fields, and creatures all around us powerfully proclaim His awesome love, hope, and creativity. It's our goal and desire to use and further develop the skills and abilities that are His gifts to us, enabling us to create jewelry keepsakes that you will cherish. 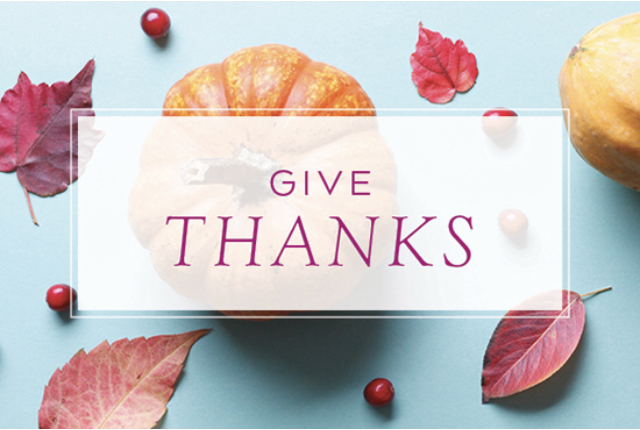 We're grateful for the opportunity to know and serve you all, and to meet new friends so often. Every new day and new season is a gift! It’s Thanksgiving week once again, and we are reminded to pause and reflect upon all that we have for which to be thankful. While there is much turmoil and hardship in the world today, there is still so much that we are blessed to have and to enjoy. Life is a precious gift!